Sunny day with all colors of Teslay 3's . Roadster, S & X. Some Facebook advertising notably increased exposure and foot traffic. Juice Bar Manufacturers representative demonstrated EVSE's. 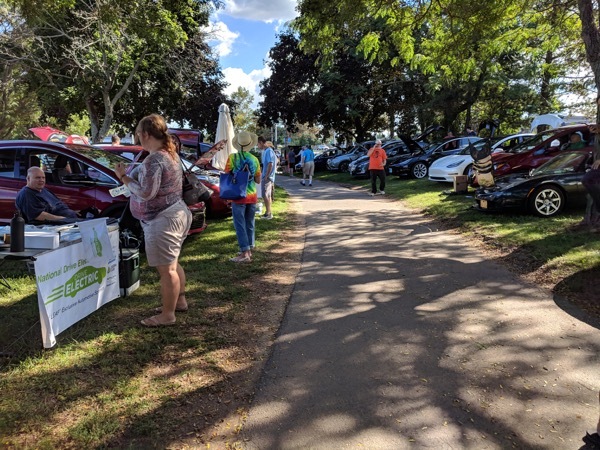 Biggest event in Central Connecticut, held on the Connecticut River shores in Middletown, CT. Great turnout with beautiful weather. 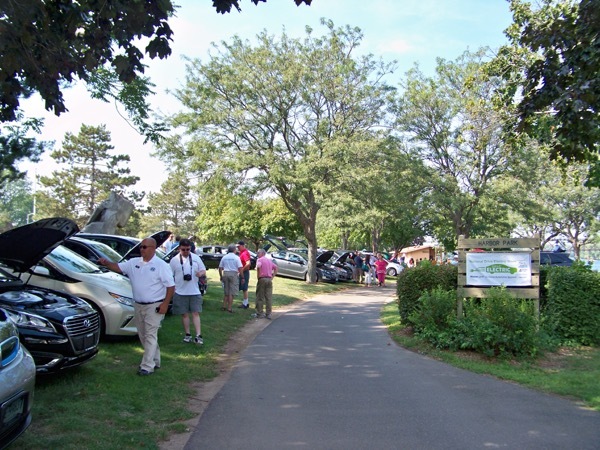 Last year, more than 200 people attended, 24 cars and six city owned plug-ins were on display. Five local dealers were present giving ride & drives. Robotics teams were present as well as local Solar dealers and a food truck. We have a number of very nice handouts including Aluminum Water bottles, Hats, Fans, and Backpack bags!! Mercy High School Robotics team will be demonstrating their Robot. We will have finger food available from a Vendor. Local EVSE Manufacturer Juice Bar will have a display of their equipment. Come visit area dealers who offer drives for their cars. Please register so we can plan parking for everyone. Thanks. There are currently 58 attendees registered. Registered attendees report 591,394 electric miles driven.